Mead has been enjoyed by kings and queens and common workers alike throughout its history long history. Now it is gaining in popularity among beer consumers and connoisseur. Mead is created by fermenting honey and contains three simple ingredients: honey, yeast and water. Archeologists have discovered Chinese pottery vessels dating from 7000 B.C. with remnants of mead inside them, making mead older than both wine and beer. Throughout time and the world over, mead has been made; Vikings, Mayans, Egyptians, Greeks and Romans experimented and shared this tasty beverage. The first stop on our tour is Dragonmead Brewery, located in Warren, MI. Dragonmead creators have been making this wonderful elixir since 1997. They currently boast over 15 different mead and wine offerings. We will be sampling a few of our favorites. Next we will stop at Kuhnhenn Brewery, also in Warren, where we will sample the mead variety available and enjoy a private tour of the facilities. Head Mead Brewer Frank Retell has medaled many times in the Mazer Cup, a yearly international competition that ranks meads into subcategories. He creates between 70 – 80 different mead styles per year and is always pushing boundaries and experimenting with new flavors. We always look forward to our Kuhnhenn Brewery stop on this bus trip to see what mead sample they have ready for us. The final stop is at B. Nektar Brewery. Not only will we sample great mead, but we will also participate in their anniversary celebration! They first opened their doors on August 2, 2008 which also happened to be National Mead Day. B. Nektar was also the first meadery to be listed as one of the top 100 breweries in the world by Ratebeer.com, and they have stayed on the list since 2013. 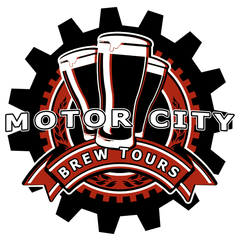 Motor City Brew Tours is excited to share these three great meaderies with you on our yearly Meadery Bus trip onAugust 6. We will meet to start the tour at B. Nektar Meadery at 11 a.m. and end at 3 p.m., back at the same location. Tickets are $55 each and include: mead samples at Dragonmead and Kuhnhenn, pizza, tours and mead talk and five tasting tickets for the B. Nektar Party at the end of the trip.